With summer around the corner, many of us are already thinking of all the fun outdoor adventures we will enjoy. Whether it’s relaxing at the beach or hiking in the mountains, these adventures have a silent danger in common—the sun. The sun, and even artificial sunlight, give off ultraviolet (UV) rays. The consistent exposure to UV rays can lead to skin damage. Skin damage accumulates and can lead to skin cancer. According to recent research, two types of skin cancer have been on the rise. At the beginning of the month, Mayo Clinic reported that between 2000 and 2010, basal cell carcinoma and squamous cell carcinoma diagnoses have increased greatly. Basal cell carcinoma (BCC) increased by a shocking 145 percent. Squamous cell carcinoma (SCC) has increased by an even higher percent at 263 percent. While BCC and SCC usually don’t spread to other parts of your body, you should still practice skin safety. This means avoid laying out in the sun by the beach or the pool, and no artificial tanning. No level of tanning is safe. Any time your skin gets darker you are damaging your skin. This can later lead to scarier forms of skin cancer, like melanoma. 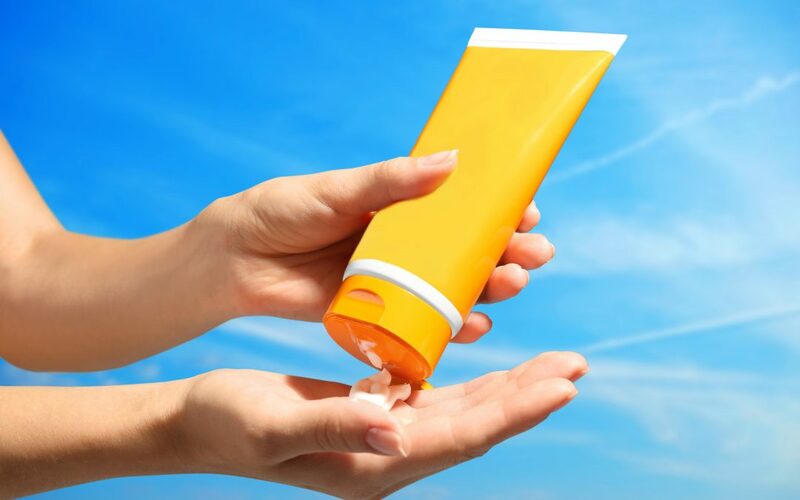 The Skin Cancer Foundation recommends using a broad spectrum (UVA/UVB) sunscreen with a minimum of SPF 15. This seems like an obvious one, but many people forget a key component: reapplication. It is important to consistently cover your body with sunscreen every two to three hours. Don’t forget to reapply after swimming to prevent further damage. 3. Wear hats and sunglasses. Another simple way to protect your skin is to wear a wide-brimmed hat to shield your face. In addition to skin damage, the sun can also damage your eyes. Be sure to wear UV-blocking sunglasses when outdoors. 4. Stay out of the sun between 10 AM and 4 PM. These hours are when the sun is at its strongest and the UV rays are the most damaging. Try checking the UV index in your area before heading outdoors. Summer is around the corner and coming in contact with the sun is inevitable. Be sure to practice skin safety when adventuring outdoors! Jordan Jones, a senior at North Carolina State University. She spent summer 2017 as an intern on the Social Media Engagement team at Blue Cross and Blue Shield of North Carolina (Blue Cross NC). She is studying Communication with a concentration in public relations and a minor in journalism and arts entrepreneurship. When not at work, Jordan enjoys supporting her small handmade jewelry business and going out with friends.